What Fazer did you spot today? 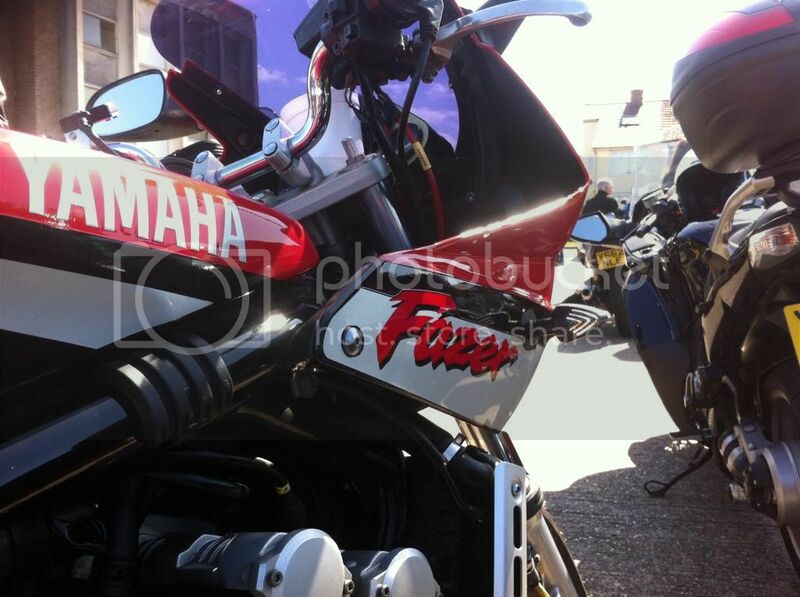 Re: What Fazer did you spot today? Grey fz6 Fazer Long Eaton, Derbys. Silver Y Reg Box Eye (with heated grips and an after-market can) in QA Hospital car park in Portsmouth. I have seen a Silver Boxeye down there a number of times, I wonder if it belongs to a member of staff. One of the things I do to keep out of mischief is drive for a local (to me) charity, doing medical appointment trips to hospitals, dentists, opticians and the like. Q A, St Mary's, Basingstoke and Southampton are my regular haunts. Oh by the way I don't take 93 year old Mrs Johnston down on the back of the Fazer. I kept my little Vauxhall Conbo van when I retired cos I was offered me silly money for it when I went to sell it, really glad I did keep it as it has slightly wider doors than a lot of 4 door saloons and I think the seats are just an inch or two higher, so easier access for an older people and if they have a wheelchair or non collapsible walker they go straight in the back. I would recommend voluntary driving to anyone who has retired and has access to a car that has time to spare. it's a brilliant thing to do, I have met some great people doing it, a lot have incredible stories to tell, mostly old ducks in the 80's & 90's lot of them widows who children have married and moved away, they are not so mobile anymore so tend to spend most of their time alone indoors, from the moment they get into my motor they don't stop chatting, they are lonely folks with great stories to tell. Black 600 Orpington bus garage anyone on here? Aldeburgh beach (Suffolk). Black Mk1 Fazer. 2 up. 'Big bore' aftermarket exhaust. You rode along seafront and parked up towards other end / Martello tower. A2 Faversham, blue fazer this afternoon. Money doesn't buy happiness, but it buys beer, and that helps! All the following spotted at the Better, bigger breakfast event, Prees Heath today. More to follow ! Blue Fazer in Teynham, Kent this evening at about 5.00. Not a fazer but a honda C90 , blue with cut down leg shields heading east on the A272 just past the junction with the A32 (Loomies).......someone we know ? Wasn't me, but I was coming back that way about 5pm today. Saw a Yellow 600 one parked up in the bike area of Addenbrokes hospital @ about 0915 on Wednesday morning. While working Shepperton Lock and old style red Fazer arrived and I gave the rider "the Foccer salute"
He looked at me like I was mad. I used to not give a foc, then I discovered Red Bull and now I don't give a flying foc !!! Last Friday 3rd August at SteelHorse Cafe bike night - 1 x silver and 2 x red Fazers. Blue FZS 600 Boxeye in Milton Road, Portsmouth a few days ago.